Keeping your guests warm is job one. Renting a portable heater will ensure that everyone is comfortable. Choices range from tent heaters for enclosed spaces, to patio heaters for outdoor use. Whether it’s for skiing, snowmobiling or ice-skating, it’s nice to have a warm area between runs. No matter the size of your outdoor sporting event, participants will appreciate a cozy place to keep warm. They work great for tailgate parties and other outdoor gatherings also. If the weather dips down before the job is done, finish up in comfort with a portable gas fired heater. Portable heaters are also great for your drying needs if you are pouring concrete, doing any masonry work, or painting. If your furnace quits, renting a portable heater can keep you and your family safe and warm until the repairs are finished. 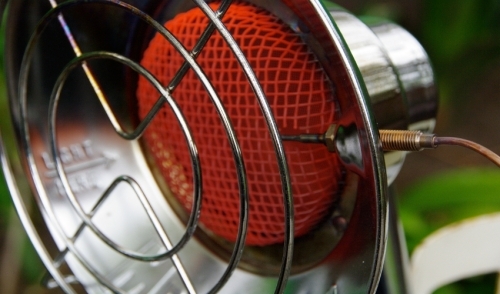 A portable electric heater can also be the safest and easiest way to thaw frozen pipes. These are a great choice for smaller, enclosed spaces. There is no need for ventilation, since there are no emissions. If no electric source is available, a generator will provide the power you need. Choose among direct and indirect fired heaters. With direct fired heaters, you can see the flame, which directly heats the space itself. A well ventilated or outdoor area is recommended since there are emissions. Patio heaters are an excellent example. An indirect fired heater uses a heat exchanger, meaning the emissions are ventilated out, plus the heat can be ducted if desired. As you can see, there is a portable heater for your every need. If you are planning an event, a project in an unheated area, or if you wake up and find that your furnace is down, give us a call and we’ll supply you with just what you need to keep things going in comfort.